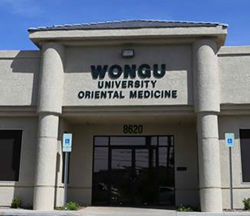 Wongu University of Oriental Medicine, the first and only oriental medicine school in Nevada, announced that it has been authorized by the U.S. Immigration and Naturalization Service to process Form I-20, enabling prospective international students to apply for an F1 Student Visa. In addition, the university is able to offer federal financial aid to qualified students in Wongu’s Master of Science degree in Oriental Medicine. The availability of both the international student visa and the financial aid will enable students who were not able to otherwise enroll at Wongu to apply for admissions and build their skills needed to advance their careers in oriental medicine. Wongu University of Oriental Medicine (Wongu) announced that it has been authorized by the U.S. Immigration and Naturalization Service to process Form I-20, enabling prospective international students to apply for an F1 Student Visa. In addition, the university is able to offer federal financial aid to qualified students in Wongu’s Master of Science degree in Oriental Medicine. “Being able to process the I-20 and offer federal financial aid to our students is a great achievement for Wongu. The availability of both the international student visa and the financial aid will enable students who were not able to otherwise enroll at Wongu to apply for admissions and build their skills needed to advance their careers in oriental medicine,” said Daniel Davies, President and CEO of Wongu. Wongu’s Master of Science in Oriental Medicine (MSOM) degree consists of 2,500 didactic hours and 1,000 clinical hours for a total of 3,500 program hours. Wongu offers courses in oriental medicine, acupuncture, herbology, western medicine, clinical education, and other electives. Founded in 2012 in the state of Nevada, the first state in the United States to grant licenses to practitioners of oriental medicine, Wongu University of Oriental Medicine (Wongu) is the first and only oriental medicine school in Nevada approved to grant a Master of Science degree in Oriental Medicine (MSOM). Wongu operates on a quarter system and accepts applications in a rolling basis. Its MSOM degree consists of 2,500 didactic hours and 1,000 clinical hours for a total of 3,500 program hours. Wongu has been granted Candidacy status for institutional accreditation by the Accreditation Commission for Acupuncture and Oriental Medicine (ACAOM), which is the recognized accrediting agency for freestanding institutions and colleges of acupuncture or oriental medicine that offer such programs. Wongu has been authorized by the U.S. Immigration and Naturalization Service to process I-20 and able to offer federal financial aid. Wongu also offers a variety of affordable acupuncture treatments and oriental medicine care to the public at its Wongu Health Center. For more information, visit wongu.org.